Not too long ago, a majority of cars and trucks were controlled with a manual transmission. When automatic transmissions became affordable and reliable in the mid-1950's, they became quite popular. By the 1980's and 90's, automatics became so prevalent that people stopped learning to "drive a stick" during their teen years. Today, manual transmissions are practically an endangered species. They're still reasonably popular on sporty vehicles and heavy-duty trucks, but for the most part they've disappeared. Something like 90% of new vehicles are sold with an automatic transmission these days, and it's a crying shame. We might be biased, but there's no substitute for a gearshift as far as Phoenix Friction is concerned. Here are 12 reasons we think new car buyers should stop driving automatics and start shifting gears again. While modern automatics are more fuel efficient today than they were even 10 years ago, they still can't compensate for human intuition. A new automatic transmission might have a lock-up torque converter and 8 speeds, but it can't see the terrain or understand what traffic is up to. A manual transmission can be very fuel efficient in the right hands. Automatic transmissions are incredibly complex. When they fail, it's thousands of dollars to repair or replace an automatic. A manual transmission, on the other hand, has very little chance of failure. The very worst case is that you have to buy a clutch, and fortunately we sell top-quality clutches at excellent prices. Have an awesome sports car that everyone wants to drive, but you’re not down with the idea? Tell them it’s a manual and see how that number drops. Not many people know how to drive a manual, and those who do usually don’t feel compelled to borrow other people's sports cars. When you drive a stick-shift, you need two hands pretty much all the time. That means you're less likely to text, talk on the phone, or "zone-out." You're always working the gear shift. 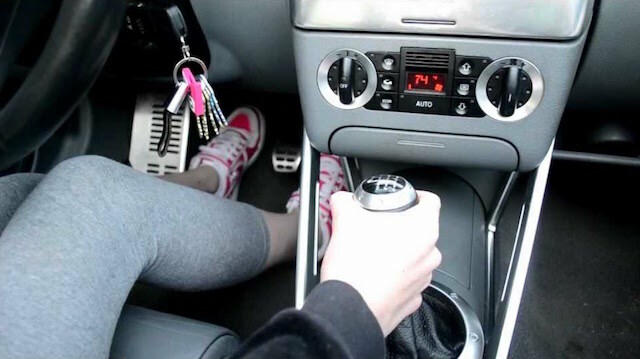 In fact, many parents believe that their children should drive vehicles with manual transmissions, as these young drivers will be less likely to text while they drive. When you drive a manual, you have control over exactly how much power is going from the engine to the wheels. This will come in especially handy during bad weather, or when ice and snow cover the roadway. It's also great to have manual control when you're off-roading. With so many people not knowing how to drive a stick (perhaps as much as 80% of new drivers, and about 50% of all drivers), there’s a good chance that a potential car thief isn't going to know how to drive your car if he or she tries to steal it. Cars and trucks with manual transmissions cost less, which means you can save a few bucks when you buy one at the dealership. Instead of spending money on an automatic, you can buy some extravagance (like heated seats). A well cared for manual transmission is essentially a low maintenance transmission. At some point in a manual transmission's life, you'll need to drain and fill the gear oil (most manufacturers recommend this procedure every 75k miles or so, some suggest it over 100k). You may or may not need to replace the clutch, but if you do, one of our kevlar clutches will last twice as long as the original...meaning it could be hundreds of thousands of miles before you're buying another replacement clutch. Contrast that with an automatic transmission, many of which need their fluid drained and filled every 30k miles. So-called "lifetime" transmissions never need to be drained and filled, but they have a life expectancy of 180k miles or so. Once they're "kaput", you're out thousands of dollars buying a new or refurbished transmission to replace it. Say what you will, but there can be no argument on this point: If you see a sports car with an automatic transmission, you're disappointed. Perhaps even judgmental. But if the car has a manual? That's cool. Manual transmissions are cooler. Plain and simple. The last - and very best - reason to drive a stick: It's a heck of a lot more fun. Nearly every person who has owned manual cars and automatics will tell you that driving a stick shift is by far more pleasurable. It's a tactile, engaging experience. It's a connection between driver and machine.